With the major league baseball season soon to wrap up, one might think that this famous American pastime was scheduled perfectly with the final days of our gardens. If you are thinking baseball and gardens at the same time, here is a great September/October plant that can knock it out of the park. 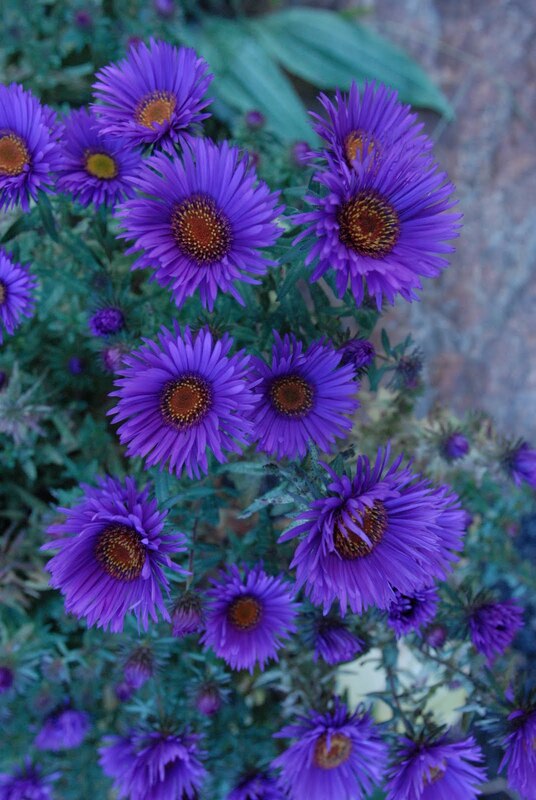 Aster novae-angliae 'Purple Dome' is by far one of the most stunning Asters in our fall plant combinations – it’s a homerun for your garden. Easily divided, its compact habit makes this plant great for small spaces. So why wait. Knock it out of the park with the powerful color of purple. All you need is sunshine, good soil and a little TCL and you are back in the ball game. To stay with today’s baseball theme, I use a quote from Rogers Hornsby. “People ask me what I do in winter when there's no baseball. I'll tell you what I do. I stare out the window and wait for spring.” Keep your frequency tuned in here at WAGC (Annie’s Gardening Corner.) There will be plenty of gardening tips and quips to help us through the upcoming chilly season of winter.